Overview: Extreme Sports are exciting and equally exciting is capturing those precise moments of adrenalin pumping excitement. Observer is a camera this is a remotely controlled multicopter robot. 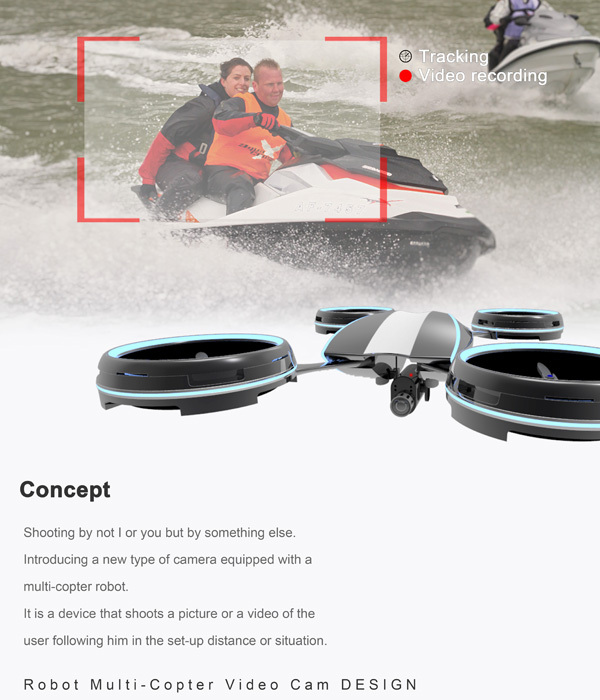 It hovers around its subject, shooting video and photos from a safe distance, while the extreme sport activities are enjoyed. 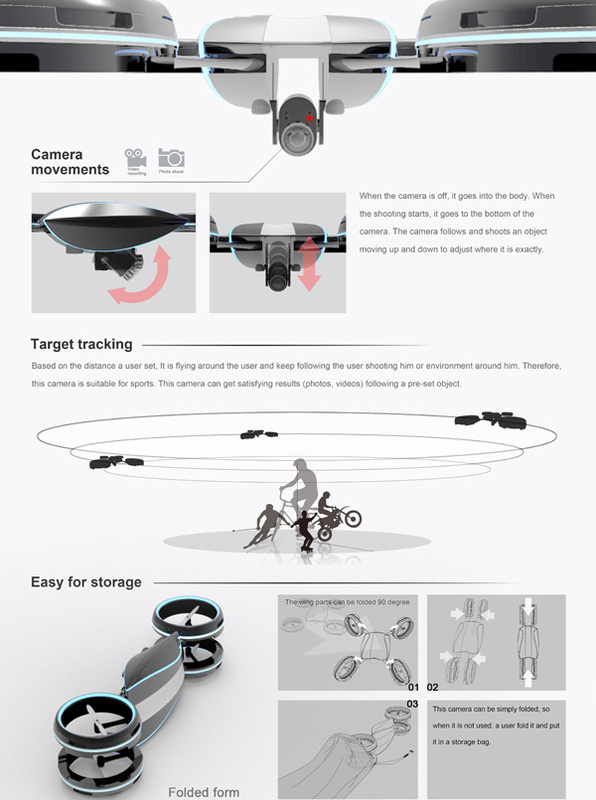 Observer is a camera equipped with a multicopter robot, which can be programmed to follow the uses – photographing the user in action while keeping a particular distance away. When the camera starts shooting, it emerges from the base of Observer’s central body component, adjusting its angle to keep its target in frame. Observer hovers around the user, shooting the action and the surroundings in photo and video format. The user controls Observer with a specially designed wristwatch-style touch pad. With two fingers, the user can control the movement of Observer in every direction. With one finger, the user can control its up-and-down movement. After use, Observer can be folded and placed in a storage bag.